I'm asked by actors and directors all the time, "Where can I find good samples of native speakers of [insert target dialect here]?" Well, there are lots of good places to look: YouTube, Pinterest, the International Dialects of English Archive to name but a few. Recently I've been combing documentaries and podcasts for native speakers of all sorts of accents and dialects. The purpose of this post is to point you towards one! If you're on Netflix looking to "Netflix and Chill", or are simply looking for something fun to watch, please allow me to recommend LAST CHANCE U. 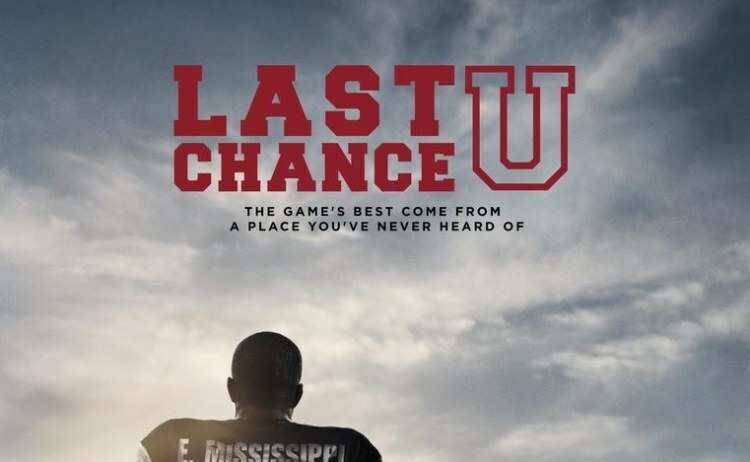 Last Chance U is a documentary series produced by Netflix. The series focuses on the football program at East Mississippi Community College. The title of the series refers to the fact that many of the players recruited to play at EMCC have been removed from Division I rosters due to academic or disciplinary issues, and playing at the JUCO level is their "last chance" to prove themselves and return to Division I. The first season showcased the 2015 season and was released worldwide on July 29, 2016. Netflix returned for a second season following the EMCC Lions in their 2016 season, which was released on July 21, 2017. The show takes place in Eastern MS, and is an excellent resource for actual, native speakers of one of the coolest and most distinctive Southern American Dialects in our country. It features subjects of different racial and ethnic backgrounds, diverse educational and social strata, as well as age variations, so there's quite a lot of interesting linguistic and dialectic variety. Many of the show's subjects are from other parts of the south as well, so it's a great resource for some other nearby regional dialects too. Note: The 3rd season will showcase a school in Kansas, so stay tuned for my ensuing excitement about Kansas Dialects! !